Prices are in $AUD Australian Dollars: – To pay with PayPal, Debit or Credit card (Visa, MasterCard, AMEX etc.) through the secure PayPal server. For buyers without a PayPal account, signing up for a PayPal account is now optional. This means you can simply complete your payment request without a PayPal account. PAYMENT OPTION: Bajakhana offers a request by email for a PayPal invoice to be sent to you for payment. SHIPPING: Ship-to-Worldwide from Australia. Buyer pays for all shipping costs and is shipped within 2 working days on receipt of payment. Each item is packed carefully to make sure it reaches you in excellent condition. Parcels will be sent ‘International Standard Post’, Signed For Delivery, Internet Tracking. Revised, Corrected and Expanded Edition with a Lacuna of the first known disc recordings of Tibetan performers. 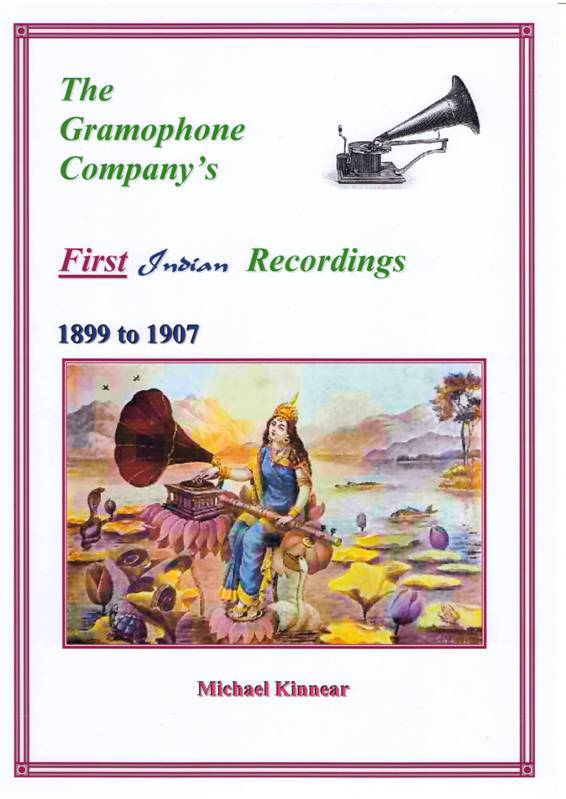 The Gramophone Company’s First Indian Recordings 1899 to 1907, is a discographical study of Indian recordings taken in London in 1899 for E. Berliner’s Gramophone, and at various places in India between 1902 and 1907, detailing all the known or traced recordings of several dialects and musical styles together with a study of the history and development of the sound recording industry in India. This newly revised study contains numerous additions and corrections, in particular, to the variety of alternate pressings made of these recordings. With an appendix and indices. With illustrations in the text. When this work was originally published my friend and confidant in all matters concerning discography, the Late Frank Andrews, had advised me that the registers from which a bulk of the information had been gleaned from numerical registers originally maintained by the Hanover factory where the records were pressed. Sometime later I discovered registers at the Dum Dum factory that gave a different perspective on which recordings were re-pressed at Sealdah, Calcutta. These hand written numerical registers were difficult to read and interpret, however, when assembled, the information revealed that there were more reissued and repressed recordings made at Calcutta, than had been originally documented in the earlier edition. 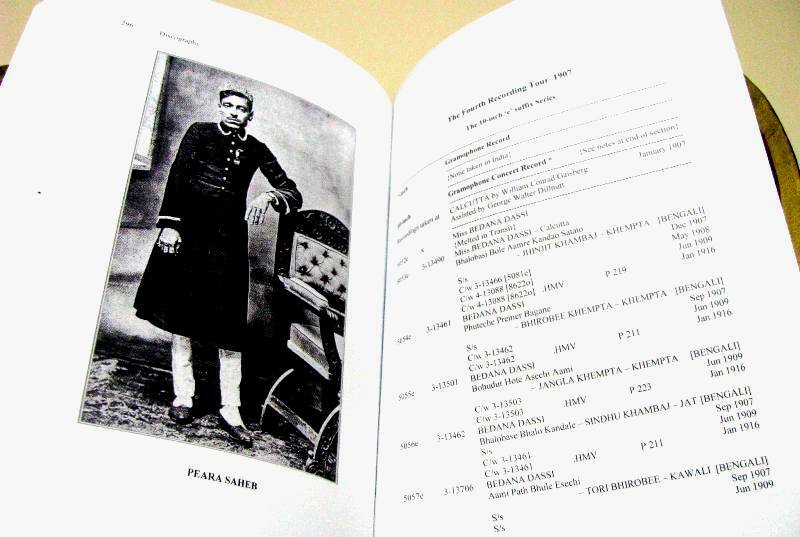 All this information and some other detail has been added to this edition, along with a series of Tibetan recordings that had not previously been documented, about the 1905 recording sessions, along with some extra information in regard to the 1906-1907 recording sessions. An encyclopaedia of the 78 r.p.m. 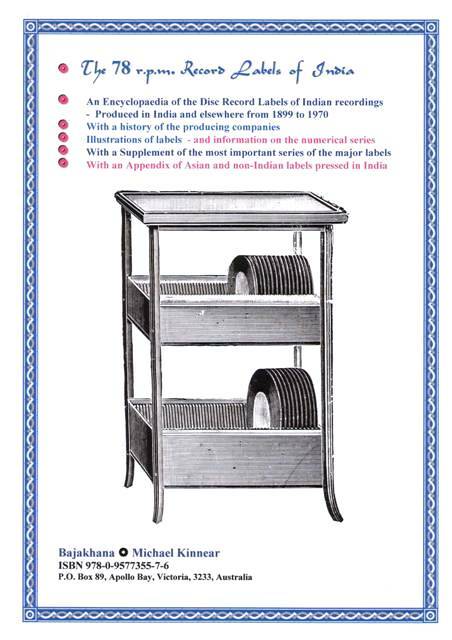 record labels produced in India and elsewhere, covering all known record labels and histories of the producing concerns from 1899 through to the late 1960’s. 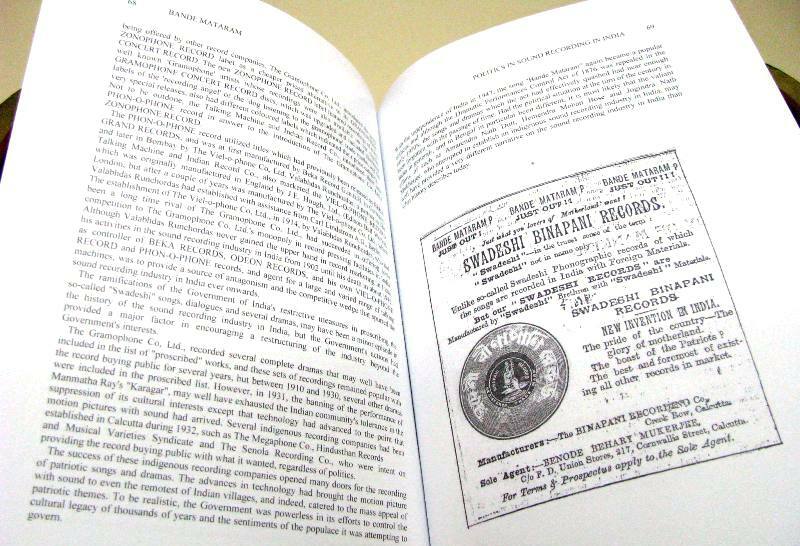 With a Supplement on the numerical series of the major labels, and an Appendix on the record labels of non-Indian and Asian repertoires made in or associated with India. With examples of most record labels (in full color, or black and white if no color examples available). Bibliographical references and Index. 520 Pages. 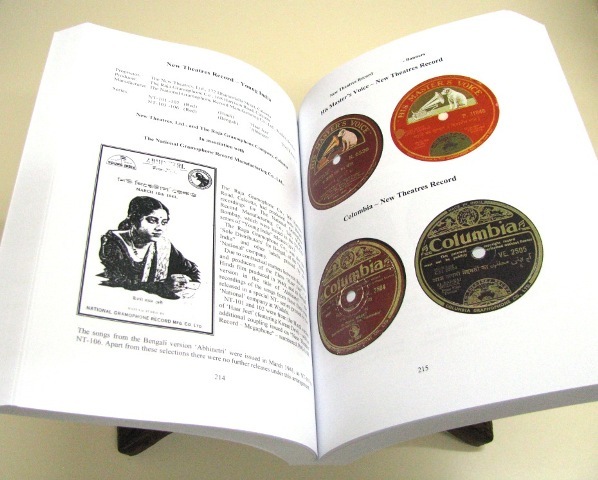 A complete numerical catalogue, by matrix serials, of Indian Gramophone recordings made from 1908 to 1910, detailing all known and traced recordings by The Gramophone Company, Ltd., in India. 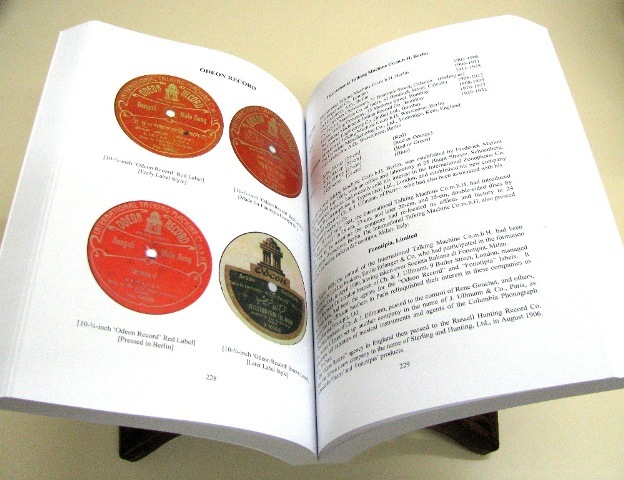 This is the second volume in the series of discographical studies on the recordings taken in India and released by The Gramophone Company, Ltd., of Indian repertoires, together with a detailed historical examination of the development of the sound recording industry in India up to 1914. 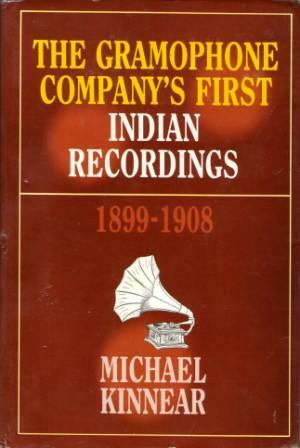 The historical background attempts to provide an in-depth view of how the sound recording industry in India was established and developed along with information about the several recording sessions described in the discography. 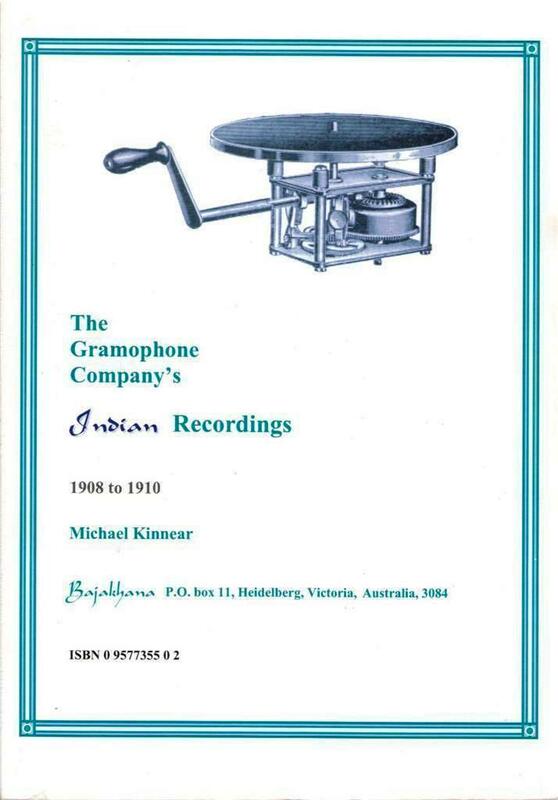 The Appendix defines the block numbering system used by The Gramophone Company, Ltd., to catalogue the recordings that were issued, un-issued or otherwise transferred to another series, between 1899 and 1930, for all recordings that might be classified as Eastern or Oriental. Essentially the block numbering system applies to all repertoires, which are written in non-Roman script. With appendices on numbering blocks and matrix serials. A discography of recordings issued on the ‘Nicole Record’ and other labels. With a history of Nicole Freres, Limited, and The Nicole Record Company, Limited, and associated companies. 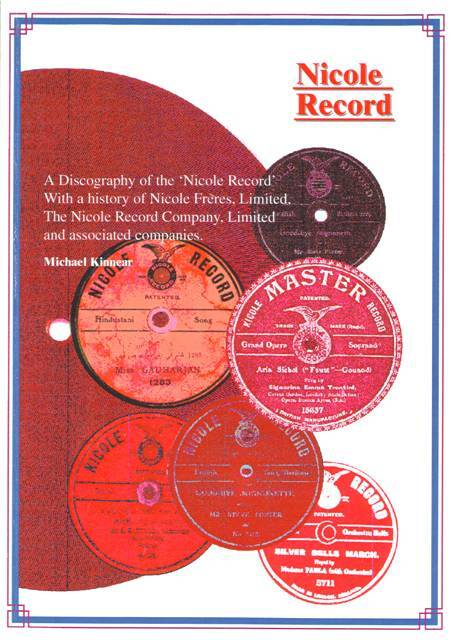 A numerical listing of all known recordings produced by The Nicole Record Company, Limited, from 1903 to 1906, together with information about reissued and transferred recordings. With Bibliography and Index, Index of Performers, Illustrations in the Text, Supplement. 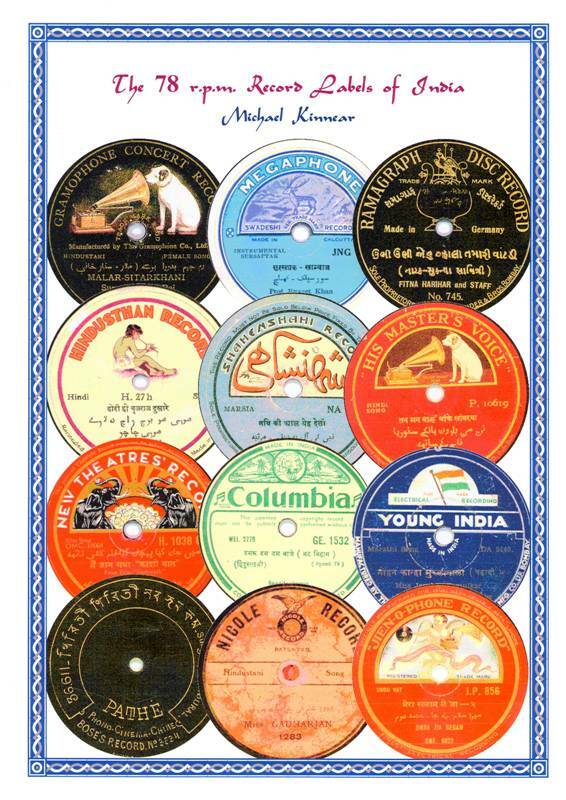 This exhaustive and complete discography of Indian music issued on microgroove discs and cassettes provides information on over 2,700 recordings of classical and semi classical music of the Indian subcontinent. It covers the period from the early 1950’s to the end of 1983 and also contains information on recordings from the early 1930’s onward that were originally issued at 78 RPM and have been reissued on microgroove discs. 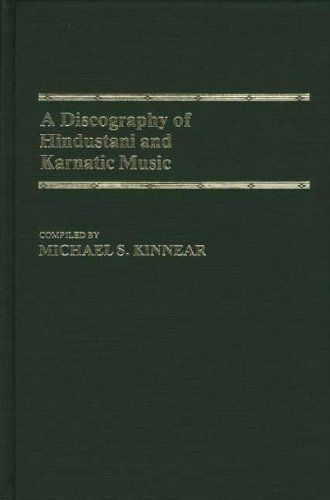 The main text of the discography is divided into five sections: Hindustani Instrumental, Hindustani Vocal, Karnatic Instrumental, Karnatic Vocal, and Anthologies. Artists are listed alphabetically and brief biographical information is provided when possible. The recordings are indexed by Raga and Tala (the melody and the rhythm), thus allowing comparison between different recordings of the same piece. An instrumental index is included as are appendices and indexes to artists, music genres and styles. [NOTE] This Discography does not contain information about Cassette and Compact Disc issues beyond 1983 – but it does provide the origin and source information about thousands of tracks that have subsequently been released on Cassettes and Compact Discs, the origin of which is not usually given in the documentation of these more recent formats. 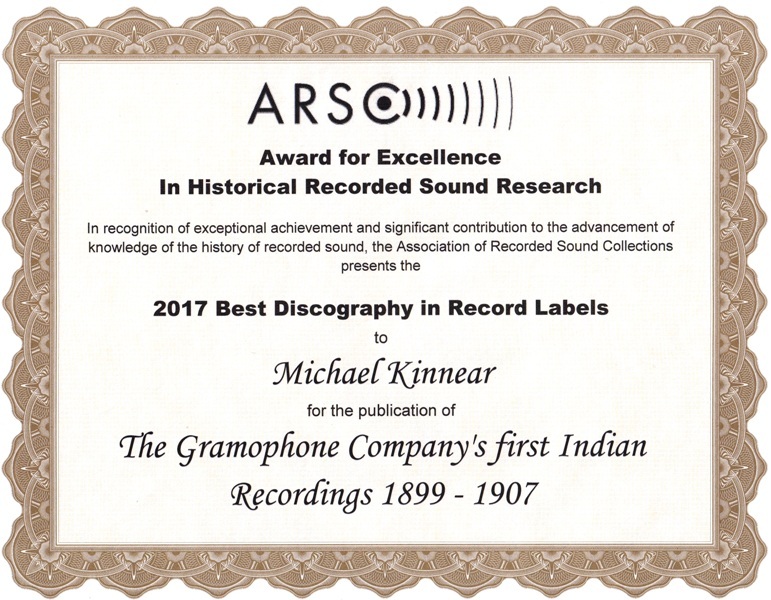 A discographical study of Indian recordings taken in London in 1899, and at various places in India between 1902 and 1907, detailing all known or traced recordings. 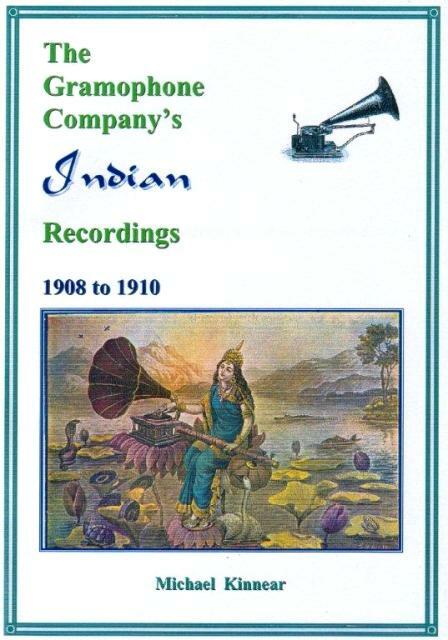 Together with a study of the history and development of the sound recording industry in India. With appendix and indices. With illustrations in the text. 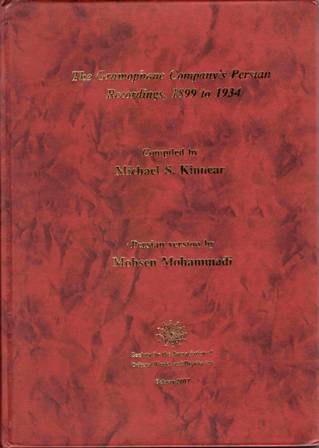 A Discography of recordings taken in Persia by The Gramophone Company, and its successor concerns, from 1899 to 1934. With a history of the activities of various recording companies who operated in Persia and the sessions conducted at Tehran and London of Persian repertoire. With a supplementary discography of recordings Persian taken by the Columbia Graphophone Co., Ltd., between 1928 and 1934. With appendices on numbering blocks and matrix serials with illustrations in the text. A Farsi (Persian) version of this book has been prepared and produced by Mohsen Mohammadi (as co-editor) with corrections and modifications and published in Tehran, Iran. 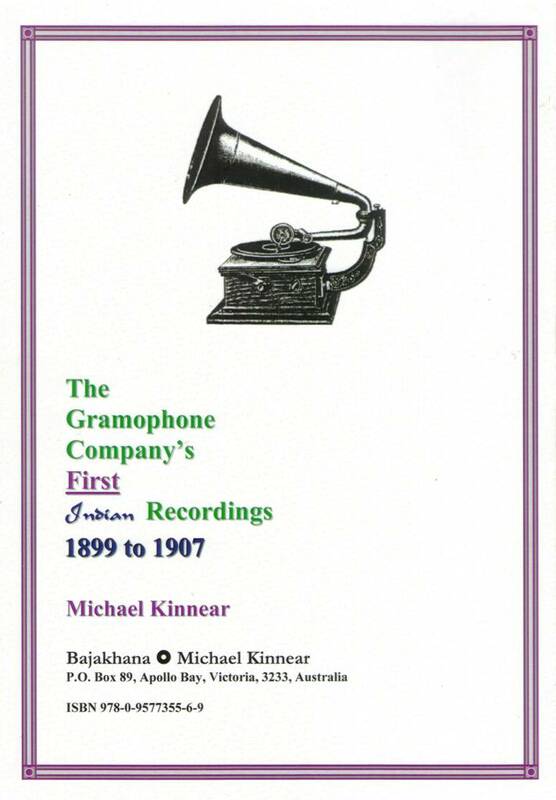 A Discography of recordings taken in Persia by The Gramophone Company, and its successor concerns, from 1899 to 1934. With a history of the activities of various recording companies who operated in Persia and the sessions conducted at Teheran and London of Persian repertoire. 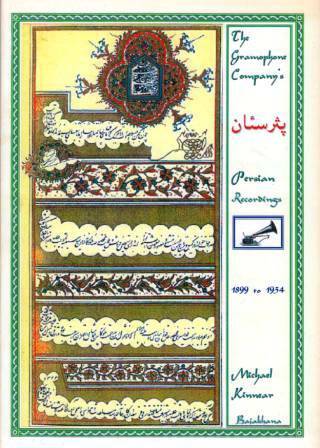 With a supplementary discography of recordings Persian taken by the Columbia Graphophone Co., Ltd., between 1928 and 1934. With appendices on numbering blocks and matrix serials. with illustrations in the text. 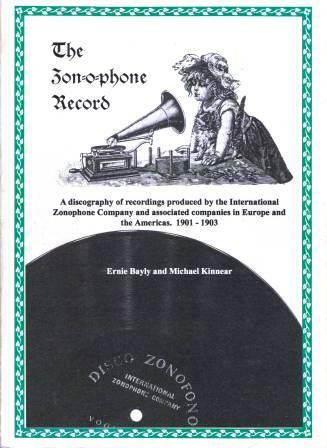 A Discography of recordings produced by the International Zonophone Company, and associated concerns in Europe and the Americas from 1901-1903. With a history of the company’s international activities, and a Supplement on reissues and transferred recordings. With Bibliography and indices. With illustrations in the text. Sadly our dear friend Ernie Bayly passed away on 5th October 2004, aged 78 years. 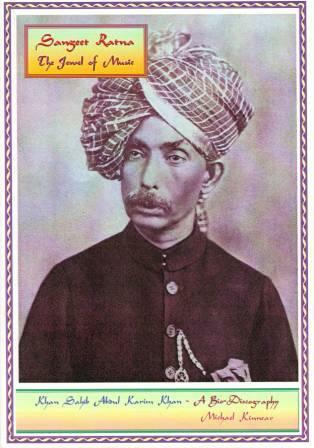 A Biography and Discography of Khan Sahib Abdul Karim Khan (1872 – 1937) – with numerous rare and previously unpublished photographs. The discography details all Abdul Karim Khan’s recordings from the 1905 sessions for The Gramophone & Typewriter, Ltd., and the 1934-36 sessions for the ‘Odeon’ label – through the Ruby Record Co. Bombay. With details of un-issued recordings, out-takes, and reissues. With numerous illustrations and label examples, and with illustrations in the text.